Manequim is the fabulous Brazilian love child of a trashy gossip/trend-rag and Patrones – with mild fetal alcohol syndrome (the gravity of this statement will sink in once you’ve eyeballed the pattern sheets). This is what the abyss looks like. Then you turn the page and see Chulthu staring at you. The numbers at the bottom indicate the placement of the pattern piece of the corresponding number – I’ve highlighted pattern piece 51 with a yellow dot on the list and on the actual pattern piece to illustrate this. I’ll start with the most important information first: sizing. You don’t need Portuguese to understand it, everything’s labelled pretty well. When in doubt consult the lords of linguistics here. Second, yes this is a review of and a giveaway for, the same magazine. Third, yes there is a pattern for the dress on the cover (in size 38 only). Save your tears, there’s more. Table of contents. The gold dress is an RTW piece sorry. Told you there'd be more to cry over. It looks like they either deconstruct or replicate the latest fashion trends from fast fashion garments/ celebrity shots. This shot is reminiscent of of Marilyn Monroe for some reason. No idea who's in the dress. I’m guessing the latter is why some patterns are only offered in the one size (My daaarling I spend all afternoon figuring out the pattern and now you expect me to grade it? Nonono daaarling I late for my cocktail mixing class!). Garments made from the included patterns are styled and modelled alongside ready to wear garments and accessories. Patterns are included for garments with the 'Molde' tag on them. 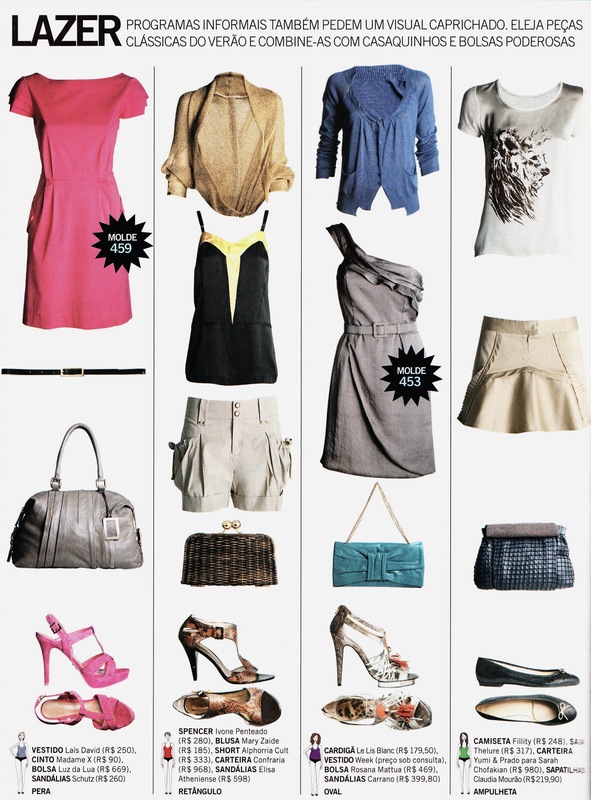 Styles range from the simple to the &*#%^#@-that’s-insane-I’d-like-make-more-than-one-dress-this-year! A simple, elegant, classic. This could be a real go to casual/formal pattern in assorted jersey solids and prints. This issue seems to be a cocktail dresses/ evening wear special (there are a couple of skirts, pants, vests and a blouse but pretty much everything else is a dressy frock/ gown). OMG I'm wearing a valance! I'm hot though so it looks great. This skirt is my favourite garment in the issue, although I do like dress 442 and the poo-catchers are slowly growing on me (like a fungus). Too hungry to stand straight. Also, how cool is that blouse? You could use an old drawer handle for the strap. Neither dress looks remotely like its 'celeb-inspiration' which is awesome (like free money). 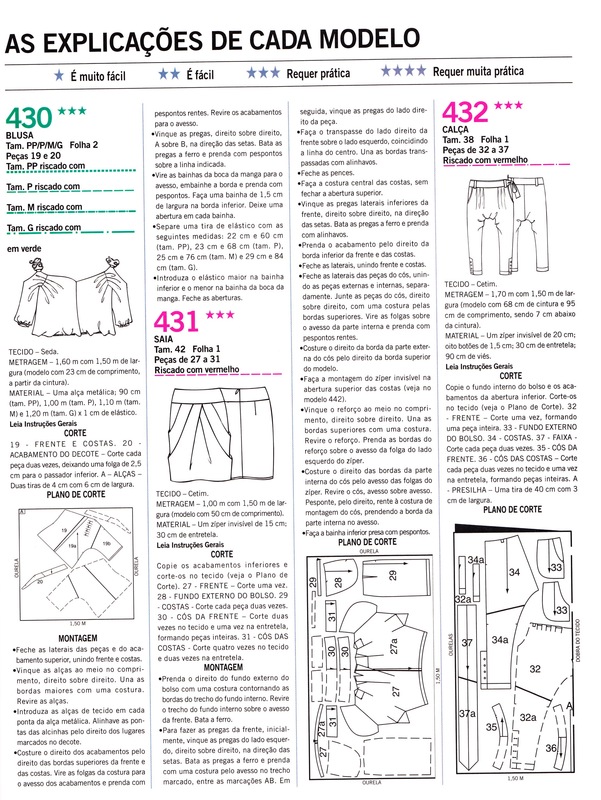 The instructions are pretty standard for an international pattern magazine (i.e. sparse and not in English). Again, Google translate is your friend. The blouse says 'requires experience' which is obviously a lie. 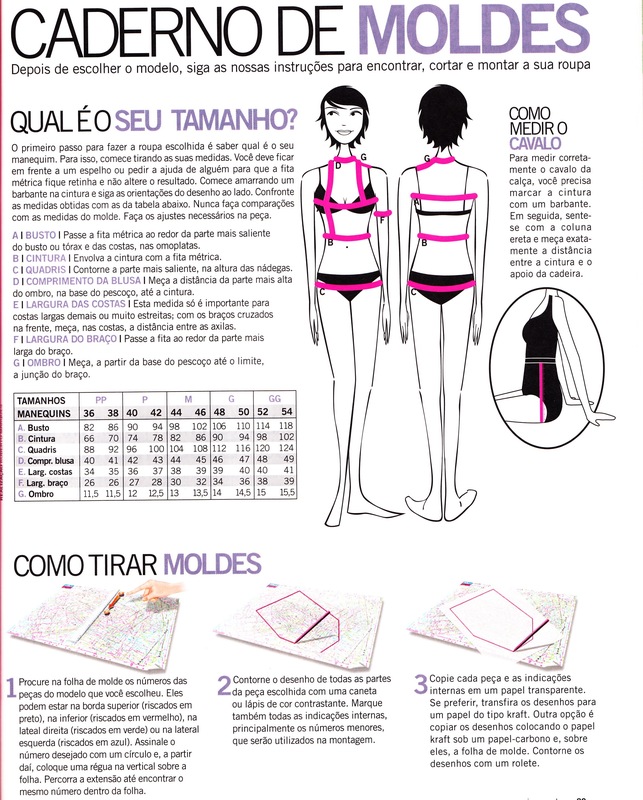 I mean, it's two pattern pieces and a door handle..
Manequim offer some free (and paid) downloadable patterns here. Extra laugh points for checking out their blog (only with Google translate – its not funny if you can actually understand Portuguese) here. Rules for this giveaway are as follows: leave a comment on this post telling me which garment you’d like to make up and comment on any other post(s) on this blog. I’m happy to ship anywhere in the world (no track and trace sorry, I’m still a poor student). If you prefer your patterns pre-printed and tracing-free, I have another giveaway here for Vogue 1179 that you can enter instead (feel free to enter both giveaways if you like). Both giveaways end on the 31st of March, 2012 at 24:00 AEST.